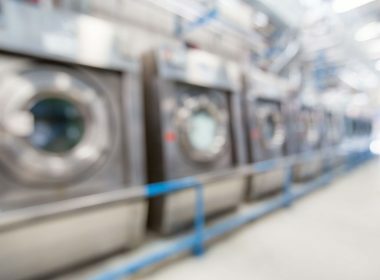 Worldwide there is increasing pressure from commercial laundries to address rising water and energy prices as well as comply with sewer discharge requirements. To resolve this, the PurePulse technology is developed to filter laundry effluent in the finer filtration range to deliver superior water quality and unmatched economic benefits without impacting wash quality. The patent-applied filtration technology, based on Ceramic Membranes, provides water recovery rate of up to 80% and energy cost savings of up to 50% due to the high membrane flux and continuous filtration capability. The PurePulse technology is engineered for small-to-large commercial laundry and is suitable for all type of laundry effluent, including hospitality, healthcare, heavy industrial work wear, on-premises laundry and commercial laundry. Besides the applications in textile care business, our applications are suitable for other extreme processes. The system and the ceramic membranes for the new applications can be adapted accordingly for specific process streams. Enabling the system to operate at high temperatures (50 – 100 0C). Therefore, ceramic membranes are the best suitable ones as they are robust and are very resistant against high temperatures and chemicals. The filtered water can be directly returned to the production process (including the chemicals). Concentrate can be drained to the sewerage or to other treatment system. There is a membrane for every application and we know how to select the best one.